I have not been spending a lot of my time playing Dota 2 in the past few weeks. With my busy schedule it can be hard to commit to long Dota 2 matches as once you start, you really should play it out to the end. It is never fair to both teams to leave mid way (if there is an emergency, don’t let a game keep you there!). However, with Dota 2’s latest update introducing this year’s New Bloom Festival and the addition of a new hero, Winter Wyvern, I just had to check it out. Read on to learn what this year’s festival is all about as well as an overview of Winter Wyvern. Instead of a team of five teaming up to take down the year beast as fast as possible, this event pits five against five in a battle to not only destroy each other’s base, but also their own personal Year Beast. The Year Beast Brawl is like a normal match of Dota with the addition of each team’s own Year Beast charging down lanes towards the enemy. These beasts spawn every five minutes and are controlled by the AI. However, players can spend Ability Points to command the Year Beast. There are multiple commands and abilities available for use on the Year Beast such as a global Zeus ultimate or teleporting it to a lane of your choice. At the start of the Brawl, players decide on the strengths and weaknesses of their Year Beast. As mentioned above, these commands and abilities use Ability Points. This is a currency unique to this event and can be acquired by playing Dota 2, winning the Year Beast Brawl, or through purchase with real money. Your ability points are redistributed at the end of each match; be sure to use all your points in each match! I read a lot of complaints about the ability to purchase these points as they give teams an advantage from the get go. However, after trying out the game mode I did not feel there was a big need to purchase these ability points due to the daily bonus. I had plenty of ability points available for use and, thanks to the ability cooldowns, I never ran out of ability points by the end of the page. I can see this system being a problem in the beginning but after getting some free daily bonus points, I personally feel there is not a big problem with paying users gaining an advantage. This does not mean I am entirely happy with this event but my reasoning is on an entirely different front that I’ll get into later. In order to join the Year Beast Brawl, you must queue for a game within random 15 minute time periods. A countdown will appear an hour before the start of each Brawl to give you time to prepare yourself and gather your friends. This horrible design decision causes the servers to get hammered in one small time frame. I could see my friends’ statuses change to ‘Finding a match’ right as the Brawl began. After waiting in the queue for multiple minutes, with many failures to find servers, I finally got into a game. There were some server issues even when playing but they were minimal, mostly consisting of a lag spike hitting every 10-15 minutes. I really do not understand why Valve would limit this event into random 15 minute intervals (it used to be 10 minute intervals initially…). Players that win the Brawl are rewarded handsomely with item sets so the restriction to play could be because of these rewards. However, Valve could have simply limited the number of itemsets players could find every day and allow everyone to play the event at their own pace. Not everyone is able to have the game open at all times and wait for the event’s random time intervals to pop. I had to leave the game open on the side while doing some other work just to be able to test out the game mode. There are many abilities available for the Year Beast but they are the same as existing hero abilities. When I finally got to play The Year Beast Brawl, I was quite underwhelmed. It did not feel as epic as previous events. In previous events I felt like I was taking down a raid boss with my party in an MMO. This year I am just playing a normal game of Dota, which is not bad, with a stronger creep at my side. It feels like the marketing team at Valve worked to push out this update rather than the amazing designers we have come to love at Valve. It all seems like a cash grab via a rushed event. On the other hand, it seems like a lot of time was spent on Winter Wyvern. This support hero can lock down enemies while also keeping her allies alive. Arctic Burn (Q) allows this dragon to soar, granting unobstructed movement, and attack enemies at long distances with a chilling attack that slows and damages enemies. This ability is very strong at all points in the game and can be used both offensively and defensively. It works great alongside Splinter Blast (W) which launches a ball of brittle ice that shatters upon impact. It is important to note that the ice does not affect the target and only damages and slows enemies within a 500 radius of the target. Her third ability, Cold Embrace (E), encases an ally in an icy cocoon, blocking all physical damage and healing a percentage of their maximum health each second. This cocoon can also be cast on yourself to help you get out of sticky situations and bait attacks. Finally, Winter’s Curse (R) freezes an enemy in place, causing nearby enemies to attack their frozen ally. The 300 range radius for Winter’s Curse is quite small and often times you will be using this ability just for the 3 second stun. Crystal Maiden’s new Arcana comes with a dog! Prioritization of skills depends on both your playstyle and the enemy team composition. Aside from always leveling your ultimate, the other abilities can be leveled up with personal judgement. I am a big fan of Arctic Burn as it allows your carry to keep up with and kill slow enemies, it works great in a trilane. Splinter Blast deals a lot of damage but it can be hard to use against passive enemies. If the enemy team is very aggressive and always grouped up (either with heroes or creeps), Splinter Blast’s high damage is amazing. Cold Embrace is great but only if the enemy team has a lot of physical damage. It is similar to Omni Knight’s Repel which is great against spells but does nothing against physical damage. Like Crystal Maiden, Winter Wyvern is very, very slow. You will want to pick up boots as soon as you can to keep up with other heroes. A Force Staff is also highly recommended as it can be used to push allies under your Cold Embrace or enemies under Winter’s Curse. From there on, you will move onto the normal support items depending on the state of the game and the enemy team’s hero composition. Items such as Mekansm, Eul’s Scepter, and Rod of Atos are great choices in many situations. I was quite disappointed with this year’s New Bloom festival. It seemed like a rushed event to make some easy money. The events in the past were amazing. You worked together with your team to tackle a new challenge that brought something new to Dota 2 outside the traditional 5v5 experience. This year we are just playing a normal All-Pick game with a pet that helps you take down buildings. I hope future events get more thought put into them. 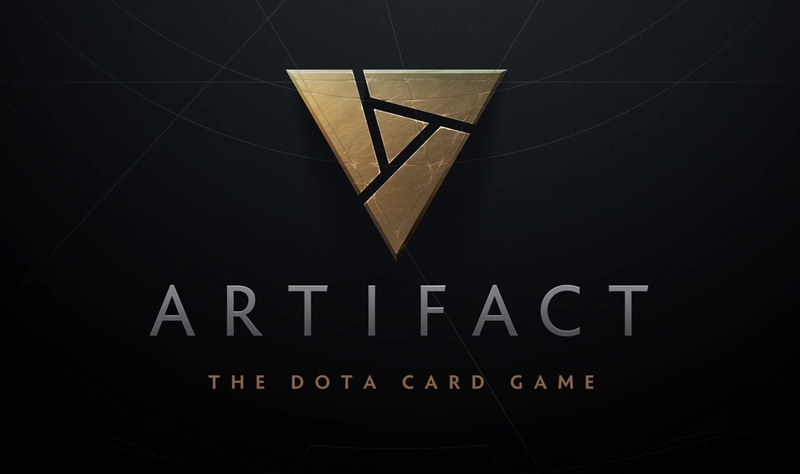 I have always praised Valve for their creativity and desire to make the best games, but this event does not represent the Valve I look up to. However, they did do a great job with Winter Wyvern. While I am not a support player, I enjoyed my time with this hero. She does seem a bit weak at the moment but it will be interesting to see where the meta game and professional players take her.